Choosing a private investigator for video surveillance purposes is not easy. The investigator you hire can have either a positive or a negative effect on your particular case. Selecting the wrong private investigator for video surveillance based on the price alone may expose you to all sort of problems with your partner, your business associate or legal representative, surrounding the competence of the hired investigators. To avoid these issues and more we have put together four questions we recommend you ask any investigator that you are considering retaining for a video surveillance assignment. Licensing requirements vary from state to state. Ensure that they are licensed in the State in which you intend to hire them. Investigators are permitted to work cross-border under mutual recognition laws but ideally retain one in the state that the work will be in. Don’t be afraid to confirm with the licensing authority that the investigation firm you are looking to hire is in good standing and have the correct licensing. Most states have the ability to check the registration of the business online, as long as you have the licence number. It is a legal requirement for any investigation firm or sole trader to list their licence number on their website. Before contacting them check the validity of the licence with the government body. 3. Confirm The Private Investigator You Are Hiring Have an Action Plan for Your Surveillance Situation. Talk about the facts of your case to the private investigator and ask for a surveillance strategy or action plan. Every surveillance job is different, and your potential video surveillance expert should have no problem sharing their ideas with you about their plan to achieve surveillance accomplishments on your behalf. An investigator specializing in video surveillance should have good foundations in their approach to your case. The strategy should be logical and based on the facts of the case resulting in an efficient and effective plan to achieve the desired objectives. For an experienced investigator this should be quite straightforward. So be honest, and tell the investigator the real facts of your case. Using two investigation field operatives is a formula for success. After obtaining video the next most important thing is avoiding being caught out by the subject. Years of experience in the field often mean an increase in the price of surveillance over a competitor’s quote. It is worth the extra money to assure that you are hiring a veteran investigator(s) that knows how to avoid being detected. A private detective is not invisible and relies on experience and common sense to blend in with his surroundings, and not take chances that would risk compromising a discreet investigation. Once the surveillance process is comprised and a subject is aware they have been followed by an investigator, you can never follow that person again without them looking over their shoulder limiting all future success. Two private investigators covering every possible exit, mode of transportation and the ability to follow long, short or quick and frequent stops is the best strategy for conducting video surveillance undetected, allowing for multiple attempts and increasing your chance for success. Going with the cheapest price in the beginning may end up costing you twice as much in the end. 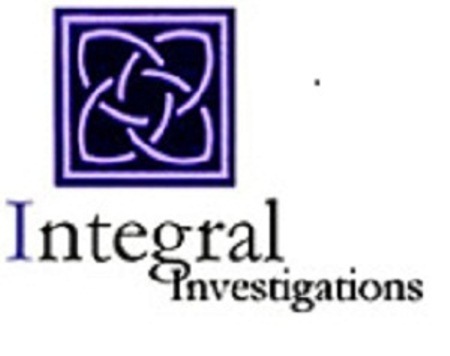 Email us directly at enquiries@integralinvestigations.com.au if you have any questions at all. We are here to help.